Imagine this: You walk up to a desk, where a single orchid in a simple vase greets you with a fuchsia smile. You are handed a robe and a pair of soft slippers and led through a heavy door and down a quiet hallway. All that you hear is the sound of water running as if in a mountain stream. After you change into the robe, you enter yet a room stocked with lemon-scented water, tea, magazines, and a polished blue bowl full of apples. Perhaps there is a view of a mountain or of the sea. You relax on a chaise in front of a fire, dozing. All is perfection, and you haven’t even had your massage or manicure yet. Relaxing in my room after a spa treatment. Ah…. 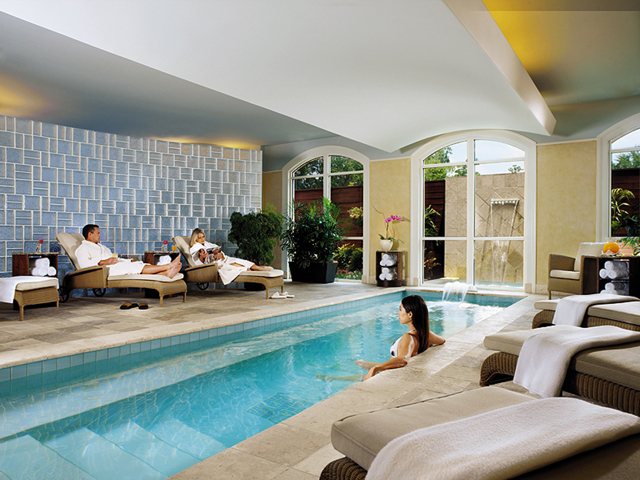 Of course, spas offer luxurious services that will make you feel good. You can have your nails and skin buffed and polished and your recalcitrant muscles rubbed into gooey submission. But more than that, spas offer a chance to enjoy an extra level of relaxation and luxury when you are on a family trip. You can sit next to a fire while someone brings you a plate of artisanal cheese or you can lie next to a quiet pool sipping champagne. You can soak in the hottest possible water or steam yourself in a sauna before dousing in a rain-like shower. And you can get away from sharing a hotel bathroom with your offspring, enjoying huge, fluffy towels and the knowledge that no one is going to knock on the door while you are bathing. While each spa is unique, they all share similar qualities: They are quiet and peaceful. They smell nice. And they are sybaritic – and unembarrassed about it. Nothing is expected of you in a spa but that you relax. Preferred Hotel Group has already committed itself to helping families enjoy luxurious time together on the road. Their Preferred Family website is a trip planning tool that lists a collection of over 250 hotels around the world have certified as family friendly. These hotels offer activities, amenities, and even just practicalities like babysitting services and cribs that are designed to help families enjoy their vacations. I always suggest that families join hotel loyalty programs to earn points toward free stays as well as other perks like free wifi or early check-in. The new iPrefer program offers benefits like these but also lets members choose whether they want to use their points for a hotel room or other rewards like meals or even (you guessed it) spa services. The best part is that some of the hotels included in the iPrefer program have spas that offer services not just for adults, but for kids. Do you like armchair travel? Me too. So when I was asked to write this post, I thought it would be fun to look at some of the participating iPrefer properties that offer spa services not just for adults but for kids as well. Let’s take a little tour, shall we? 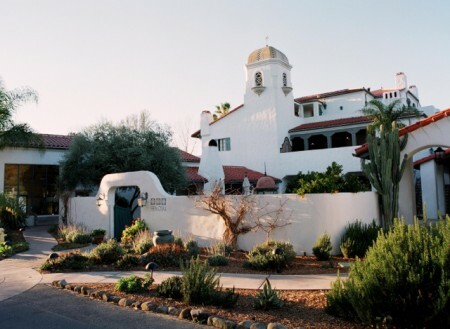 The Ojai Valley Inn and Spa is about 60 miles north of Los Angeles, just inland from the Pacific Ocean. It’s a dream of Mediterranean tile, whitewashed adobe, and lush grounds. I can almost smell the lavender and eucalyptus, can’t you? If a city vacation sounds like its more your style, the Houstonian Hotel, Club, and Spa is located in the heart of Houston, Texas near the city’s arboretum in Memorial Park. But if you don’t feel like making your way over to the park, you can simply enjoy the lush gardens on the hotel grounds. 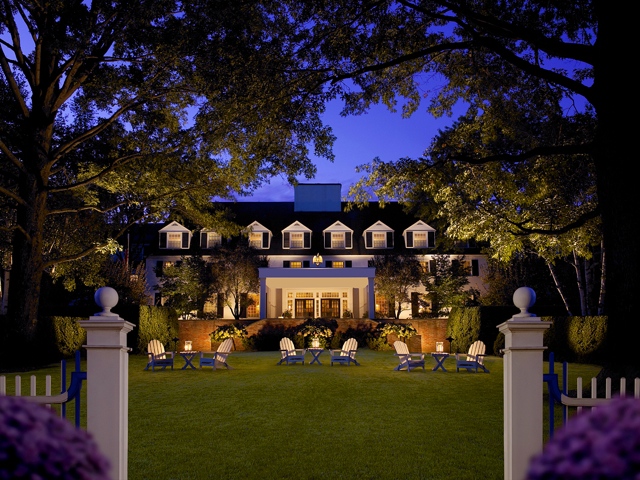 Given my love of Vermont, it seemed absolutely necessary to mention the Woodstock Inn and Resort, which is tucked into the central part of the state, its columned porch and dormer windows a testament to New England Colonial elegance. There’s plenty for families to do in the area, including visiting the Billings Farm Museum and the state’s only national park. Each of these hotels has a full-service spa with a large menu of services for grownups. Should you choose, you can book yourself a getaway within a getaway, taking some time for yourself in the middle of a family vacation. But if what you’d like is to introduce your teen to the pleasures of spa relaxation you’re in luck: Manicures, pedicures, and facials are among the services that teens can enjoy at the spas in all three of these resorts. And these are just a small sample of the over 200 Preferred Family Certified destinations on the iPrefer list. Find all the hotels and details about signing up for iPrefer on the Preferred Family website. Have you ever enjoyed a spa treatment on a family vacation? I was compensated by Preferred Hotel Group for writing this post. You can always count on me to say when I’ve been paid or received something for free, and also to share my honest opinion. For more family travel tips, see: Europe with Kids: Five Tips for Organizing a Family-Friendly Itinerary at CiaoBambino! and Golf Vacations with kids: Tips for a great golf resort experience from Pitstops for Kids. You had me at “gooey submission.” Ojai Valley sounds divine- I love that they have a young adult spa menu as well. Now my daughter just needs to hurry up and be 13. Oh wait–no. She doesn’t–but eventually, that sounds like a great mother-daughter day. I haven’t been on a spa vacation in a long time. This makes me want to book one right now. Vermont looks wonderful! I have, but not alone, I always took my daughters with me. In hindsight a little alone time probably would have been nice, but we all enjoyed ourselves and it was relaxing! I definitely need to rethink my vacation strategy. I always intend to relax more, visit the spa, and visit the gym – but I never, ever do. Ever. I need to make this a priority next time! When i agree there is absolutely no uncomplicated answer, however watching your preferences along with articulating all of them is necessary. The procedure associated with managing loved ones variations in public situations can be a stressor. Using imagined along with attention, in the end.